The most popular retail shops in downtown Portsmouth honor the A La Carte gift card. Here’s a little information about each of our participating merchants. We hope you’ll tell your friends and family about these shops, and the A La Carte card. Bliss offers a one-of-a-kind shopping experience that makes women feel stylish, beautiful & unique. Season after season, Bliss continues to be one of New England's most sought after shopping destinations. You'll discover racks of adorable dresses for all occasions, plus stacks of jeans, whisper-weight sweaters, seductively-sweet lingerie, the softest tees on the planet, and lots, lots more. Shopping anywhere is utterly ordinary! Cèad mìle fàilte! Croeso! Welcome to Celtic Crossing! 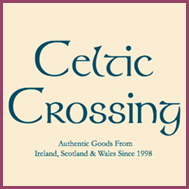 Whether you are looking for a Gaelic gift or Celtic Keepsake, Celtic Crossing is the place to be. We have gifts from each of the seven Celtic Nations (Ireland, Scotland, Wales, Manx, Cornwall, Brittany and Galacia) that are unique, Celtic inspired and of the highest possible quality. Indeed, some of our offerings are available only at Celtic Crossing. 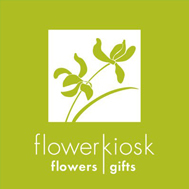 The Flower Kiosk offers a full selection of fresh flower arrangements, unique and rustic flower baskets, gourmet fruit and gift baskets, and plants for all interiors. Since 1986, we've been serving satisfied customers from our shop in historic downtown Portsmouth, located in the Seacoast of New Hampshire. 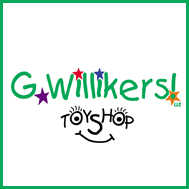 G.Willikers! Toy Shop is a second-generation family owned and operated toy store located in historic Portsmouth, New Hampshire. We offer a hands-on, family friendly environment with an attentive and knowledgeable staff who understand the importance of excellent customer service. We invite you to come in and play! From games & puzzles to Playmobil, Calico Critters, musical instruments, cool science projects, baby gifts and tons of books. We sell hilarious, laugh-out-loud men's, women's and kids clothing plus a whole lot more. Our great mix of tees, tanks, hoodies and PJs will keep you looking stylish and have your friends cracking up! Whether you have a destination in mind or Portsmouth is your destination we hope you find something to make your weekend and travels a little easier, more comfortable and a lot more fun! Enjoy your Journey. 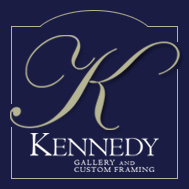 Kennedy Gallery and Custom Framing in downtown Portsmouth presents a wide selection of original works of art, archival prints and photography, while also specializing in Custom Design and Framing. Our collection of fine art includes original oils & acrylics on paper by nationally known, accomplished artists as well as works of the best, well-established local artists. 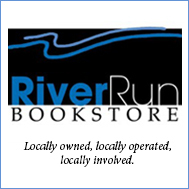 When you come to RiverRun you'll find a staff of voracious readers eager to recommend quality new and used books of all types. Our display tables are covered with new releases, while our shelves are bursting with great backlist titles. We are a bookshop, not a gift shop, so there's not much here except books. However we do have some very nice journals, some excellent book lights, a small selection of cool gifts, and our own T-shirts. 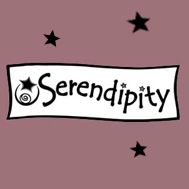 Serendipity may be an intimate boutique, but we carry a large selection of dresses, shorts, skirts, jackets, intimates, lounge wear, rompers, pants, active wear and accessories. 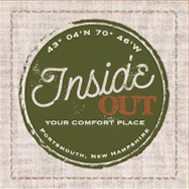 We’re is located in the heart of downtown Portsmouth. We are only a short walk from the Music Hall, Prescott Park and Strawberry Bank. You can find us at 41 Pleasant St across from Stonewall Kitchen and next to the Rusty Hammer Restaurant. Tugboat Alley - Portsmouth's most complete gift shop! All ages will enjoy the selection of apparel, jewelry and nautical gifts. Tugboat Alley has Portsmouth’s best t's, hats, sweats and fleece as well as nautical gifts, a selection of snacks and treats and gifts that will make you smile. A Portsmouth tradition since 1995. For a number of years the residents on our street have pitched in during the holiday season to purchase an A La Carte card for our Mail-carrier! It's the one gift card that offers lots of options for people who we're not quite sure what to get.